Well hello there true believers! If you aren’t hungover from yesterday’s 3rd birthday celebrations for the PlayStation, it turns out Sony is the one bringing the gifts. Today’s releases are going to make damn near everyone but the armchair sports fans happy. First on the chopping block is Capcom’s Blue Bomber – Mega Man in an all new 3D adventure. Next up os Sony themselves with another new mascot in the books, Spyro the Dragon. Small, purple, open environments and a slightly snarky attitude provide endless hours of entertainment. I can see this one joining Crash Bandicoot in the upper echelon of platformer gaming. Jewel Case Release – 2nd Release ‘Plain’ Version. 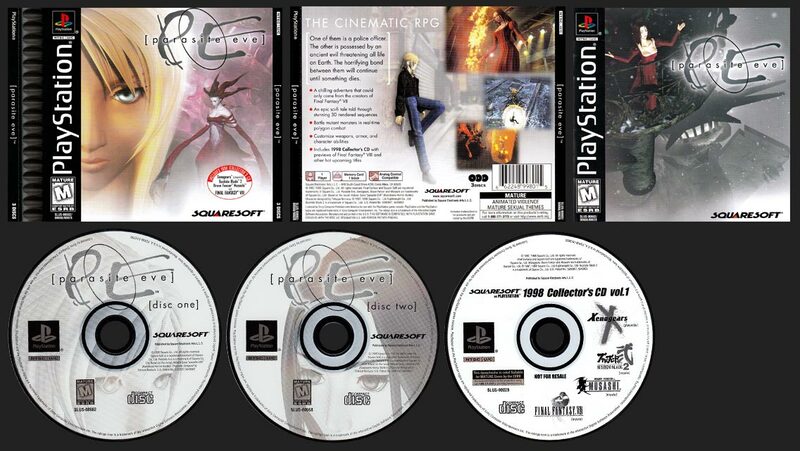 Finally, we have Parasite Eve from Squaresoft. A fantastic, more mature themed Role Playing Game that borrows a bit of the control scheme from Resident Evil. A snazzy lead character in Aya Brea adds another strong female lead to the PlayStation’s ever growing squad of them. …oh, don’t worry armchair quarterbacks…your day is tomorrow. You’ll be ON FIRE with no need for quarters. Mega Man Legends, Parasite Eve, Spyro the Dragon.